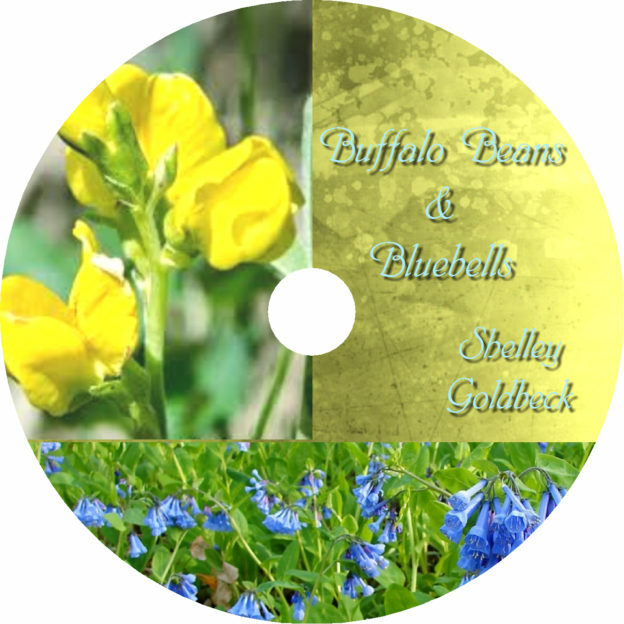 My first CD of poetry and music is dedicated to my parents, ERNIE and ILENE GOLDBECK, who celebrated their 60th Wedding Anniversary, November 26, 2017. If it weren’t for their raising me on a farm with horses, I would never have paid any attention to Cowboy Poetry and none of these poems or songs would have occurred to me. Except #11, all lyrics written by Shelley Goldbeck. Except # 11, 7, and 10, music written by the magical Don Kletke. All music arranged and played by Don Kletke. Old Cowboy and Old Dog: (poem) This is the first “cowboy” poem I wrote. It is based on a true story my dad, the old cowboy, told me about their old dog. Ilene on Her: (poem) I wrote this poem for my mom’s 75th birthday. I’m delighted with this presentation with the music in the background and my singing the choruses. 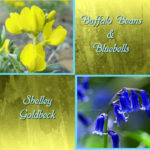 Buffalo Beans and Bluebells: (song) Inspired by my grandma who taught me to recognize prairie flowers and told me stories about her life on the homestead. It’s a celebration of Canada’s 150th year and the mark homesteaders made on our land. Not Enough: (poem) A true story: Doing chores in the cold, when I visited my cattle ranching friend, L, whom I consider a sister, led me to a startling conclusion. 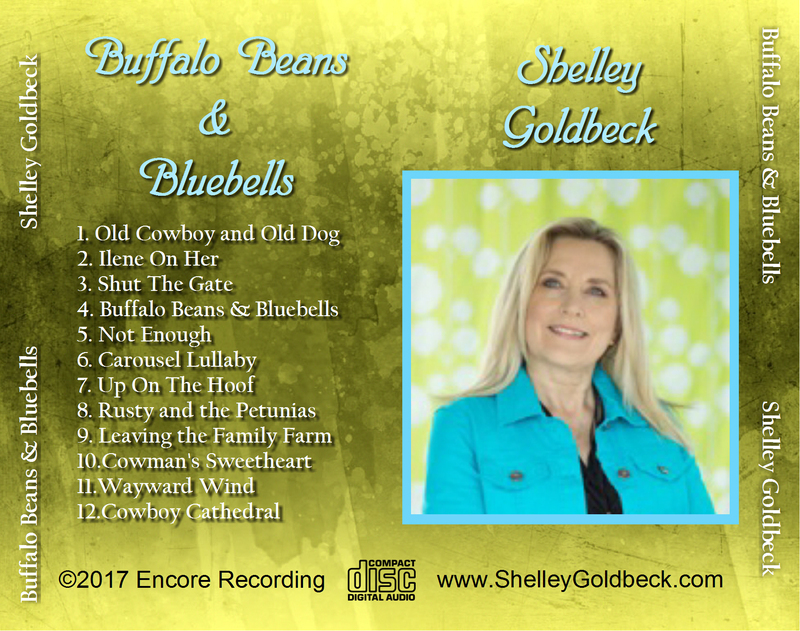 Carousel Lullaby: (song) Inspired by a fellow poet and musician, John Bacon from Montana, this song celebrates the thrill of riding horses. Up on the Hoof: (song) Parodies are fun for me. In this one I write new words to the R&B classic, Up on the Roof. Rusty and the Petunias: (poem) Based on a real experience, I examine the difference in the personalities of horses. Leaving the Family Farm: (poem) Inspired by a friend who retired from farming and my awareness of the difficulty of making such a drastic life change. Cowman’s Sweetheart: (song) Another parody about the not-so-glamourous life of a cowman’s wife, to the tune of I Want to be a Cowboy’s Sweetheart. Wayward Wind: (song) My dad’s favourite song had to be on this disc. Mom likes many songs so the rest are for her! Cowboy Cathedral: (poem) Another poem inspired by my dad, who when asked about his religion, says, “I deal direct!” That led me to write a poem about a cowboy who worships in nature, likely more completely than in a church. 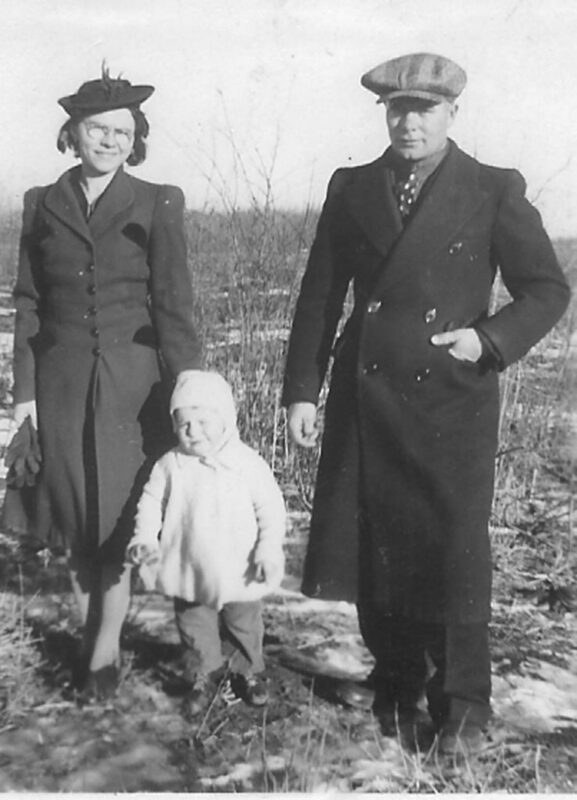 First: To my parents, Ernie and Ilene Goldbeck, who raised me on a farm, encouraged me to read and took an interest in my early poetry. 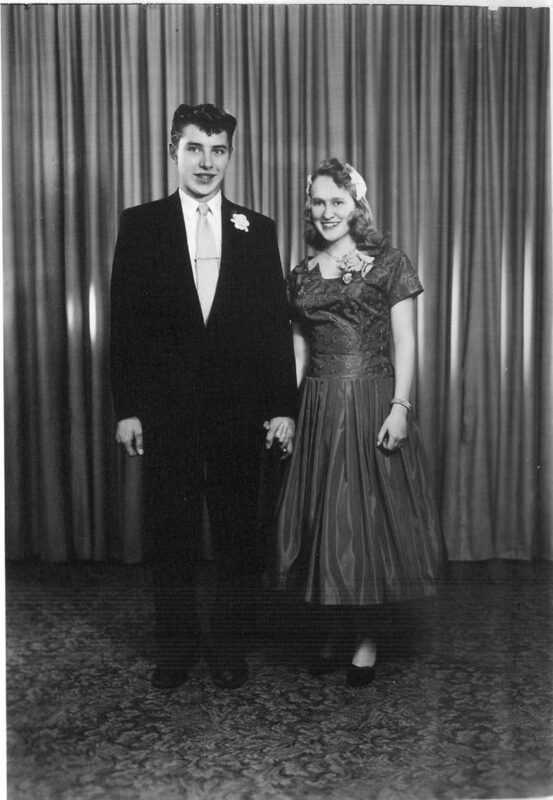 My parents, Ernie and Ilene Goldbeck on their wedding day, November 26, 1957. Second: To my grandma, Ella Goldbeck, who raised her kids on a farm and told me the stories of her early life on the homestead. 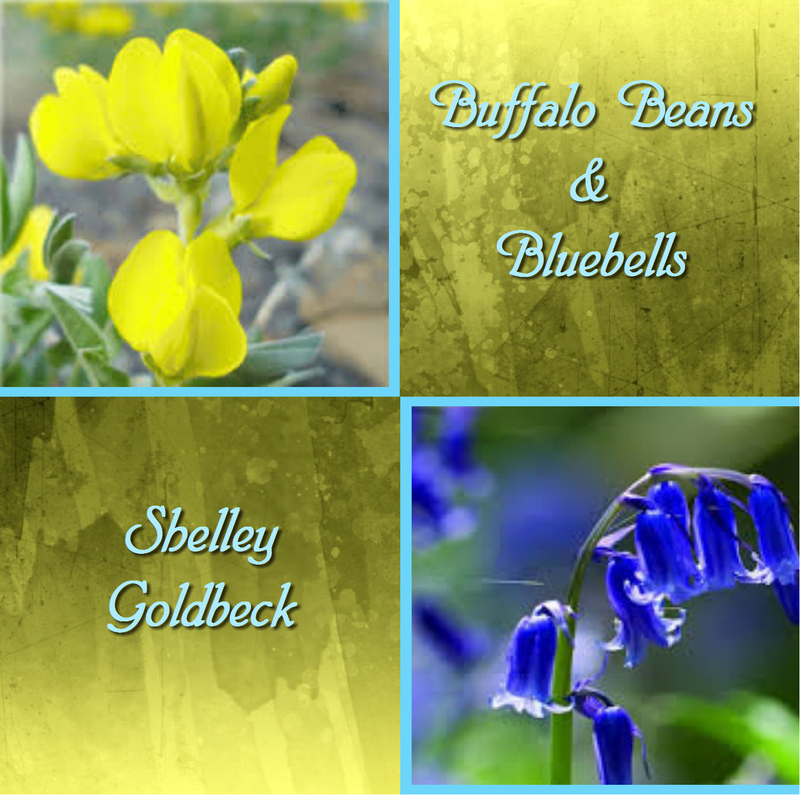 She also taught me to identify many prairie flowers, including Buffalo Beans and Bluebells. Third: my good friend, Elle, who encouraged me to “come to Cowboy Poetry” for 20 years. She is my #1 fan and like a sister to me. 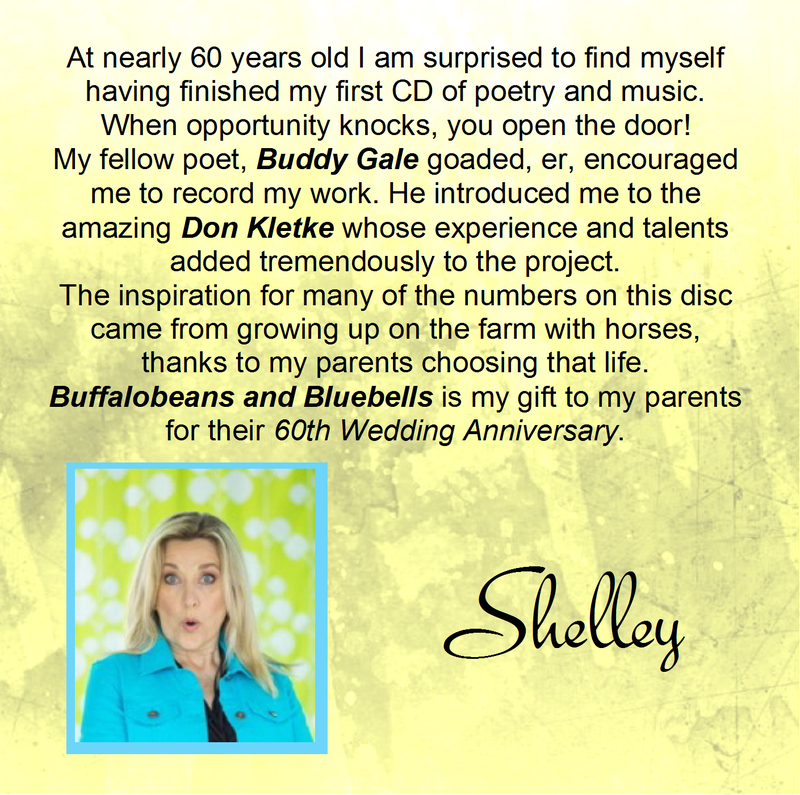 Fourth: Buddy Gale, my fellow Cowboy Poet, an octogenarian who has written nearly 1000 poems and songs in the last 25 years and was instrumental in connecting me to Don Kletke. Buddy inspires me with his unbounded energy and pure joy at creating poetry and songs. Buddy was our Creative Advisor, occasionally offering tips for improving our product. Fifth: Don Kletke, musician and producer, without whom, this CD would not exist. Don conceived exactly the right tunes and sounds to back up my words. He arranged all the music and played all the instruments. He patiently led me through this project.